A South Dakota native, Dr. Michelle Reyes graduated with a Biomedical Engineering degree from Arizona State University in 1988. She went on to medical school at University of Louisville, graduating with honors in 1992. Dr. Reyes has been practicing Ophthalmology in West Hills since 1997 when she graduated from her Ophthalmology Residency at UC Irvine. Her practice blossomed in 2002 when Botox® was approved for cosmetic use. 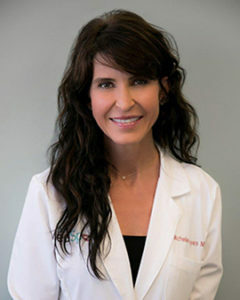 In the years that followed and after hearing the increasing call from her clients for botox and cosmetic procedures Dr Reyes transitioned over to the cosmetic field becoming a Cosmetic Surgeon. She is now following her dream of establishing a medical practice dedicated to minimally invasive cosmetic procedures alongside healthy age management in a relaxing spa environment, which we now know as “The Med Spot”. Dr. Reyes specializes in using her aesthetic instincts with her medical and technical background to make people realize their full beauty potential, health and wellness. Dr. Michelle Reyes is also heavily involved in continuing medical education to ensure she is practicing medicine using the most cutting-edge technology and training. Dr. Reyes lives in Calabasas and has two grown children.